El Dorado Resorts has finished its acquisition of Tropicana Entertainment, which cost the company approximately $1.85 billion. This acquisition gives El Dorado Resorts seven additional casinos in six states. It also allows the company to continue to expand its empire. El Dorado Resorts is a relatively young company, having been formed only four years ago. Its headquarters is in Nevada and the company owns 26 properties in 12 states. Those states include Colorado, Florida, Illinois, Indiana, Iowa, Louisiana, Mississippi, Missouri, Nevada, New Jersey, Ohio, and West Virginia. The company has continued to expand its resources to the South and East. It has projected these areas will be the most promising areas for gaming in the next 10 years. In addition to casinos, the company has more than 12,500 rooms at its resorts. Tropicana Entertainment Inc. is also fairly young (less than 10 years old). It has properties in Louisiana, Mississippi, Nevada, Missouri, and New Jersey. It also owns a property on the Caribbean island of Aruba. 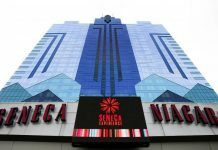 The company has eight casinos in all, with 5,500 resort rooms, 8,000 slot machines, and nearly 300 table games. While the Tropicana company was fairly young, parts of the company had been in operation since 1990. At one time, the Tropicana company had 15 casinos. But, it faced repeated cycles of bankruptcy and suffered from the economic downturns in many states. 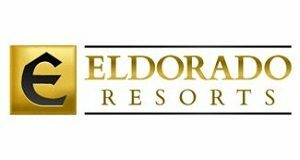 What is El Dorado Resorts Gaining? Experts have noted several reasons why El Dorado Resorts would want to acquire Tropicana Entertainment. First, the company has openly stated it wants to acquire sportsbooks because they are the future of gaming. Currently, a few of the properties that El Dorado has or just acquired are eligible for sportsbooks. The company has casinos in Mississippi, Nevada, New Jersey, and West Virginia—all of which allow sportsbooks. In addition, El Dorado has casinos in states that are likely to vote to allow sports gaming in 2019. Louisiana and Missouri have both stated they want to allow sports gaming sooner rather than later. The U.S. Supreme Court said in May states could decide whether to allow sports gaming. That prompted several states to immediately legalize sportsbooks. The company has already made arrangements with William Hill to operate sportsbooks in the areas that permit sports gaming. 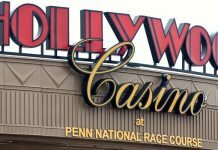 The arrangement will continue as states choose to allow sports gaming in the future. In addition, El Dorado Resorts has an interest in online gaming. Currently, Nevada and New Jersey have allowed online gaming and online sportsbooks. if the company can adapt, find apps, and fund online sites in those states, it can acquire additional revenue. Also, El Dorado Resorts wanted to begin to move some of its interests to the Caribbean. Aruba has several casinos and has opportunities for online casino and poker gaming. This gives the casino company additional revenue streams. With the additional resorts, the company gained 5,400 hotel rooms. That gives the company additional convention space to have trade shows and conventions. These trade shows and conventions bring in thousands of people who may be potential gamblers. Although the acquisition price was not cheap, El Dorado Resorts is confident the payoff will be in the additional revenue. The new company is nowhere near being the largest company in the casino market. However, it is among the fastest-growing companies in the gambling business. 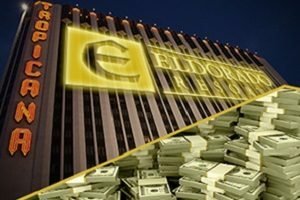 The rapid advancement of El Dorado has many casino companies looking over their shoulders. El Dorado’s ideas for continuing a successful formula and outlook have well-positioned it to acquire more properties in the future. Next articleiPhone XS – Is it worth the $1,000 price tag?